No one ever expects that they’ll need to make an emergency visit to the dentist, but if they’re experiencing severe dental pain, the last thing they want to do is waste precious time searching for “emergency dentist” online. 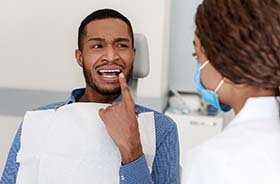 To make sure this never happens to you, just put New Haven Dental Group’s number in your phone right now, and you’ll be completely covered if you ever require urgent dental care. We’re ready and able to accept emergency patients, and we’ll work to see you the same day that you call so we can get you out of pain as fast as possible. Is the pain dull and persistent, or sharp and severe? For minor pain, start by flossing around the tooth to dislodge anything that might be stuck between the teeth. If the pain is overwhelming, however, place a cold compress on the face and take an OTC medication. Place a cold compress on the same side of the face as the tooth for 10 minutes at a time to reduce any swelling and pain. 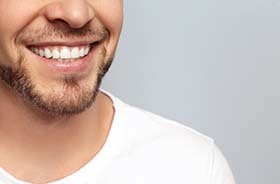 Gather up any large pieces of the tooth you can find, and put a piece of sugar-free gum or dental wax over the remaining tooth to blunt any jagged-edges. If the tooth is only partially dislodged, try to gently push it back into place, and hold it there by biting down onto a piece of gauze. However, for fully knocked out teeth, recover it and call us as soon as possible—we can replant the tooth only an hour or so after the initial accident! Find the restoration, give it a quick rinse, and try to place it back onto the tooth—a dab of toothpaste can help with this. If the tooth is feeling some pain or sensitivity, an OTC medication can help provide temporary relief. Wear a mouthguard every time you participate in sports, no matter what the game is! Don’t use your teeth as a tool to open packages, bottles, or remove tags from clothing. Instead of chewing on ice, pens, pencil, or fingernails, switch to sugar-free gum. 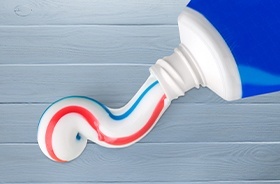 Brush and floss your teeth every day to keep them strong and free of decay/infection. 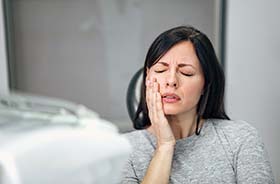 Call New Haven Dental Group at the first sign of a dental problem. This will enable us to take care of a minor issue before it can turn into an emergency later. As you can see from this page, there are many different kinds of dental emergencies, and because of this, there is no fixed price for urgent dental care. 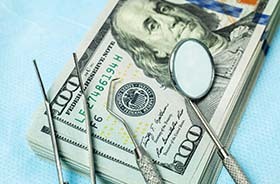 One patient might just need a prescription to feel better, while another may require a root canal and crown. Every situation is different, and we will quickly go over your options so you’ll know exactly what you’ll be expected to pay.